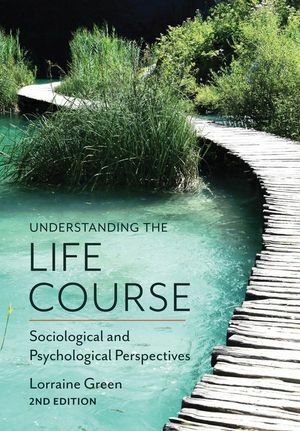 Understanding the Life Course provides a uniquely comprehensive guide to the entire life course from an interdisciplinary perspective. Combining important insights from sociology and psychology, the book presents the concepts theoretical underpinnings in an accessible style, supported by real-life examples. From birth and becoming a parent, to death and grieving for the loss of others, Lorraine Green explores all stages of the life course through key research studies and theories, in conjunction with issues of social inequality and critical examination of lay viewpoints. She highlights the many ways the life course can be interpreted, including themes of linearity and multidirectionality, continuity and discontinuity, and the interplay between nature and nurture. The second edition updates key data and includes additional material on topics such as new technologies, changing markers of transitions to adulthood, active ageing, resilience and neuropsychology. This comprehensive approach will continue to be essential reading for students on vocational programmes such as social work and nursing, and will provide thought-provoking insight into the wider contexts of the life course for students of psychology and sociology.